for He is alive and has become the Lord of Life. you raise us with Him and renew your gift of life within us. toward the fullness of eternal life with you. One of the joys of being a Catholic is being part of beautiful traditions. 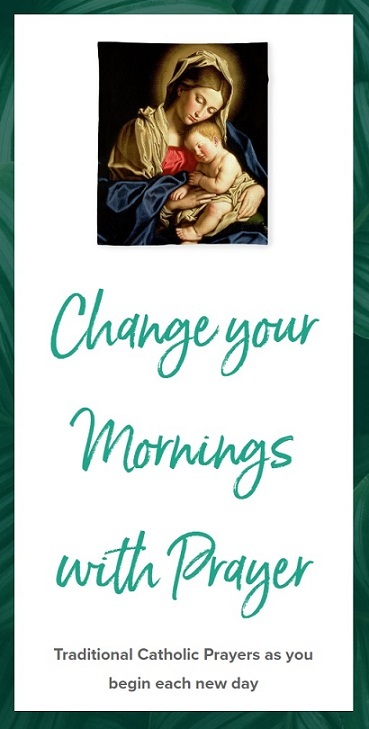 After reading “Around the Year with the Trapp Family” by Maria Augusta Trapp, and many Catholic blogs, I have been inspired to begin simple family traditions for the Liturgical Seasons and Feasts. This Easter, we made a special Paschal Candle to celebrate the joy of the Easter Season in our home. We have been lighting this candle during our evening Rosary and family prayers and will continue to do so for the fifty days of Easter. Paschal Candle or Easter Candle is a new candle which is blessed and lit every year in the Church at Easter Vigil. 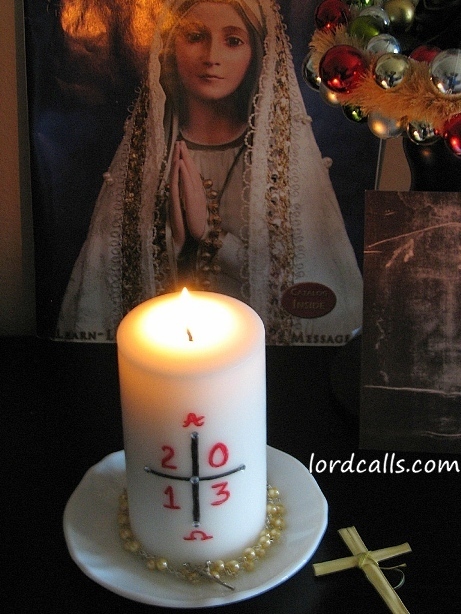 The candle represents Christ, the light of the World and is used during the Paschal/Easter Season and also on special occasions such as Baptisms and Funerals. At the beginning of Easter vigil on Holy Saturday night, the priest or deacon carries the unlit Paschal Candle in a solemn procession. A new fire, symbolizing our eternal life in Christ, is kindled and blessed by the Priest. Through all ages of eternity. Amen. may he guard and preserve us Christ the Lord. Amen. The Easter candle is lighted each day for daily Mass during the Easter Octave and also on all Sunday Masses and all Solemnities during the fifty days of Easter. The pure beeswax of which the candle is made represents the sinless Christ who was formed in the womb of His Mother. The wick signifies His humanity, the flame, His Divine Nature, both soul and body. Five grains of incense inserted into the candle in the form of a cross recall the aromatic spices with which His Sacred Body was prepared for the tomb, and of the five wounds in His hands, feet, and side. I didn’t have time to make an elaborate candle. 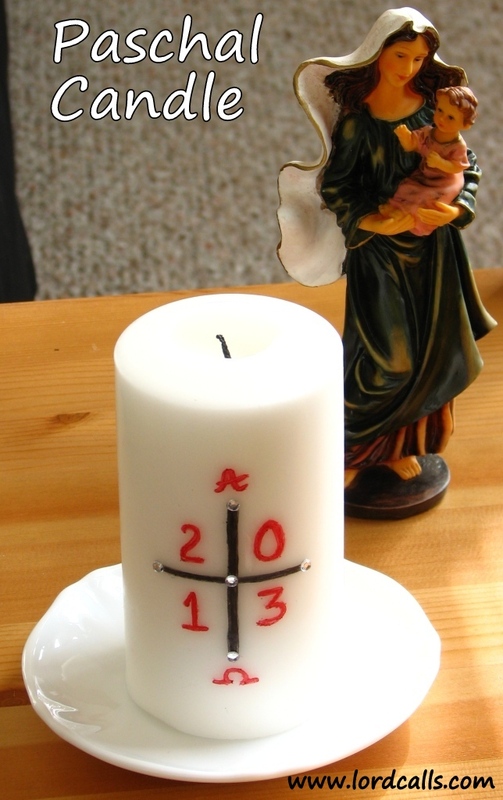 I used permanent black and red markers to inscribe the cross and text on the Candle. I had some stone stickers (bindhi) which I glued onto the cross to mark the five grains of incense. It took me only ten minutes to assemble my candle and so I encourage all of you to make your own Easter Paschal Candle for your home. For elaborate ideas, you can visit this lovely blog Shower of Roses. The Regina Coeli (Queen of Heaven) is traditionally prayed instead of ‘The Angelus‘ during Paschal Time (from Holy Saturday through the evening of the Saturday after Pentecost). It is traditionally prayed in the morning (6 am), at noon, and in the evening (6 pm). V. Queen of Heaven, rejoice. Alleluia. R. For He whom thou wast worthy to bear. Alleluia. V. Has risen, as He said. Alleluia. R. Pray for us to God. Alleluia. R. For the Lord has truly risen. Alleluia. O God, who by the resurrection of Thy Son, Our Lord Jesus Christ, hast been pleased to give joy to the whole world, grant, we beseech Thee, that through the intercession of the Blessed Virgin Mary, His Mother, we may attain the joys of eternal life. Through the same Christ our Lord. Amen.